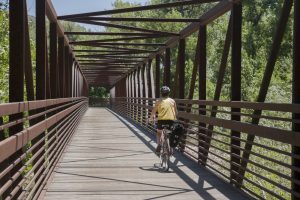 Come pedal along the Poudre bike trail while learning about the history and heritage of the Cache la Poudre River National Heritage Area. As one of only 49 National Heritage Areas in the country, participants will discover what makes this river corridor so special as Heritage Culturalist volunteers guide them along a two-hour, 4+ mile biking tour of historic and natural sites. This event is open to all skill levels. 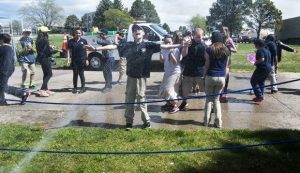 Bicycles will be provided thru Pace, Fort Collins Bike share program (https://ridepace.com/fortcollins/). If you plan on utilizing a Pace bike, it is highly recommended that you create an account in advance of the tour. Promotional codes will be issued to all registrants so that their ride is free. 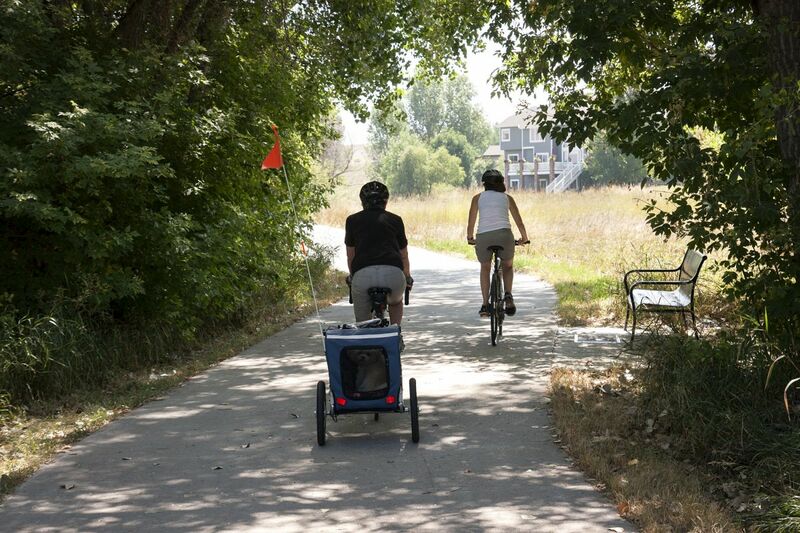 Helmets can be purchased at cost through Visit Fort Collins in Old Town Square. If you have your own bike and helmet, feel free to bring those instead! People interested in attending the Historic Roads conference should check out their website for more information: http://historicroads.org/. The conference will take place September 13-16 in Downtown Fort Collins. Bike tour participants can register for both the conference and the bike tour by going here. If you cannot attend the full conference but still want to do the Pedaling the Poudre bike tour, email programs@poudreheritage.org to register. A $10 donation to the Poudre Heritage Alliance (a 501c3 non-profit) is suggested but not required.